Posted by Jon in News, Wild Mammals on Sunday 09/08/2009 22:45 UTC. This hedgehog came to us as a baby with fly strike in his eye. We removed the fly eggs and put him on a course of antibiotics to prevent infection to the eye. After sucessfully hand rearing him and getting him onto solid food it became apparent that he had lost the sight in his left eye and the fly eggs had caused a lot of damage. As the little hog had come so far we decided to have the eye removed. It was a risky and long operation but thanks to one of our vets this fighter is doing well after the operation and eating really well. We are so grateful to the vets for carrying out this procedure and giving this hedgie a second chance. 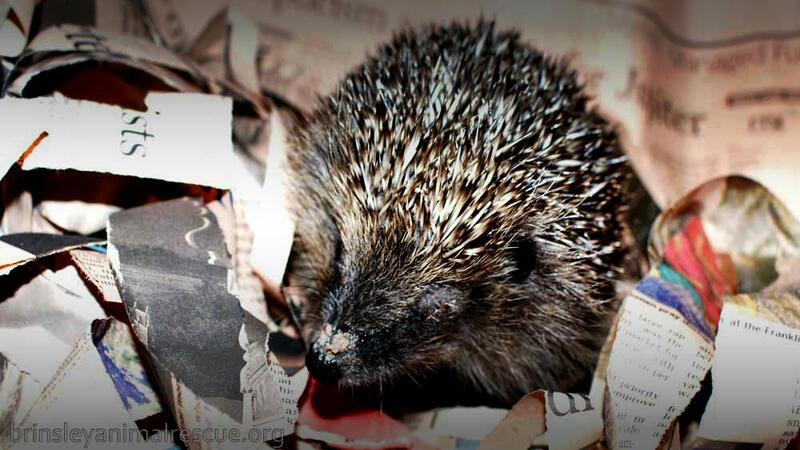 The hedgehog was released today, we put it in an enclosure with a house and food, then after a few days removed the run. he can always return for food if he wants.